Ladies let’s be real. Do you feel like your bladder is running your life? If you pee when you laugh, work out or cough, you’re not alone. About 33 million Americans suffer from urinary incontinence in some form. But only some will explore female incontinence treatment even though it’s more common in women than men. Let’s look behind the bladder at causes and a revolutionary nonsurgical solution for female incontinence treatment. 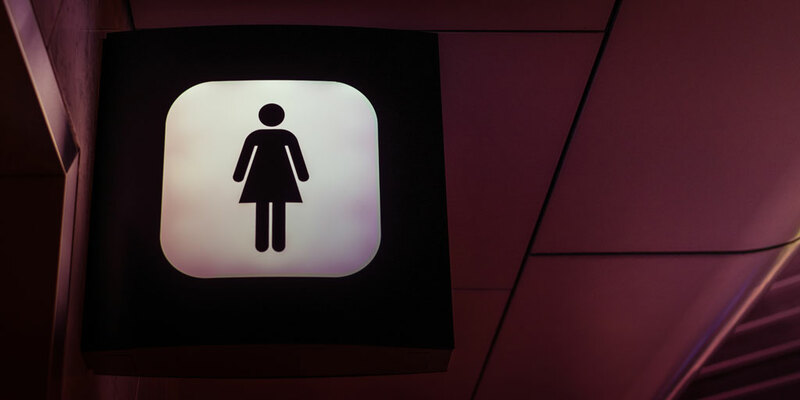 So why do more women than men suffer from urinary incontinence? There are two main reasons you are making the most bathroom runs in the family. Incontinence is common. But you don’t have to live with it. Female incontinence treatment has come a long way. Pregnancy: Medical advances are moving at light speed. But, it’s still women who carry the babies. In fact, pregnancy is a top reason women experience urinary incontinence regardless of vaginal deliveries or c-sections. The stress and pressure on the pelvic floor through the pregnancy process of 40 weeks causes loss of support. You just can’t hold it in like you used to. Menopause: Women in menopause will notice a lot of changes in their bodies from head to toe. Dips in estrogen begin in perimenopause (the start of the menopause cycle) as the ovaries slow production of this important hormone. After menopause when periods stop altogether women may experience urinary incontinence which is thought to be linked to lower estrogen production. More women than men have urinary incontinence. What if you could address your urinary incontinence without surgery? And get a sexual boost to boot? This is O-Shot®. O-Shot® is an FDA-cleared procedure using PRP Therapy to boost your body’s own cell production. With that, signaling it’s own natural restoration. O-Shot® is indicated for Stress Urinary Incontinence and Urge Incontinence, the two most common forms in women. PRP Therapy stands for Platelet Rich Plasma Therapy, a medical technique where your body’s rich plasma is extracted then injected into the vaginal area. For stress and urge incontinence, PRP Therapy stimulates your own natural restoration process. For decades the only solution for urinary incontinence of any form was either surgery or medication. O-Shot® has ushered in a new age of relief. Women are regaining self-esteem. Quality of life. Previous activities they had to give up. And, even better, there’s a boost in the bed too. This is twofold. While urinary incontinence leads to lower self-confidence, this, in turn, affects sexuality. That’s normal. It’s hard to feel your most sensual when you’re worried about leaks. And, O-Shot® stimulates blood flow and cell rejuvenation naturally which can reawaken your downstairs area if it’s been dormant. Is O-Shot® Right for Me? Is leaking leading your life? Do you scope out the restroom wherever you are? Are you making frequent bathroom breaks, putting off activities you love and dealing with lower self-confidence as a result? If you’ve dealt with urinary incontinence for awhile and it’s affecting your quality of life, O-Shot® may be right for you. If you’ve tried medication and don’t get full relief, O-Shot® is worth checking out. Looking to avoid surgery? Let us tell you more about O-Shot®. O-Shot® is a nonsurgical, effective FDA-cleared procedure that harnesses what your body naturally produces to rejuvenate and restore what’s at the root cause of stress and urge urinary incontinence. Read Real Self reviews from women like you. Book your private consultation with Dr. Russo to discuss if O-Shot® is right for you. Can Testosterone Cause Weight again? What is Vaginal Rejuvenation and Does it Work?